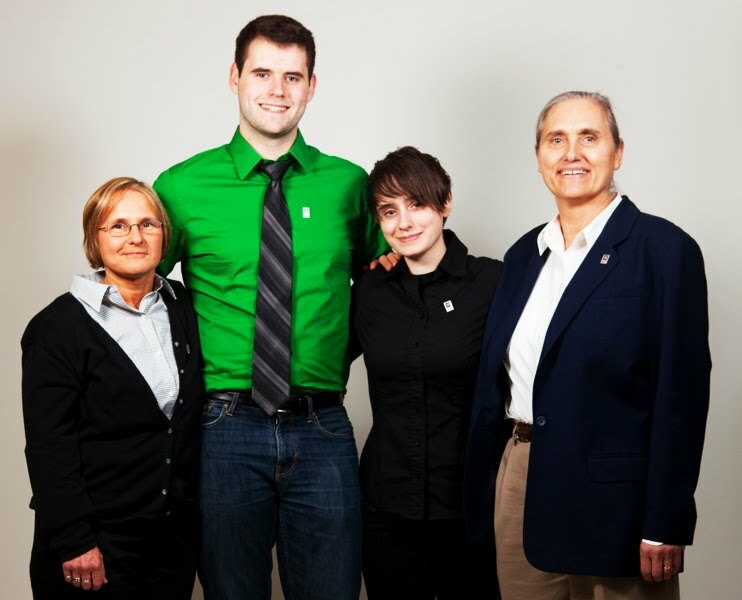 Dr. Terry Wahls is the creator of the Wahls Protocol, one of the healing diets featured on this website. She agreed to an interview with me, to share the details of her inspiring story. 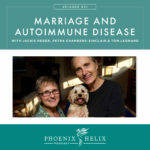 Like many of us, Terry can look back and see early signs of her autoimmune condition, before she knew the cause. As far back as 1982, she experienced occasional face pain and vision trouble, but she was young and strong, so didn't spend much time worrying about it. She was a Taekwondo champion in college, went on to complete medical school, got married and had a family. In the 1990's her strength began to decline and she fatigued more easily, and although she found it frustrating, she chalked it up to age. It wasn't until 2000, when she developed foot drop and began stumbling, that her wife Jackie insisted she go to the doctor, where she was officially diagnosed with multiple sclerosis. She saw experts in the field and followed the advice of her doctors, taking both chemotherapy and immunosuppressant drugs, and still her disease progressed. 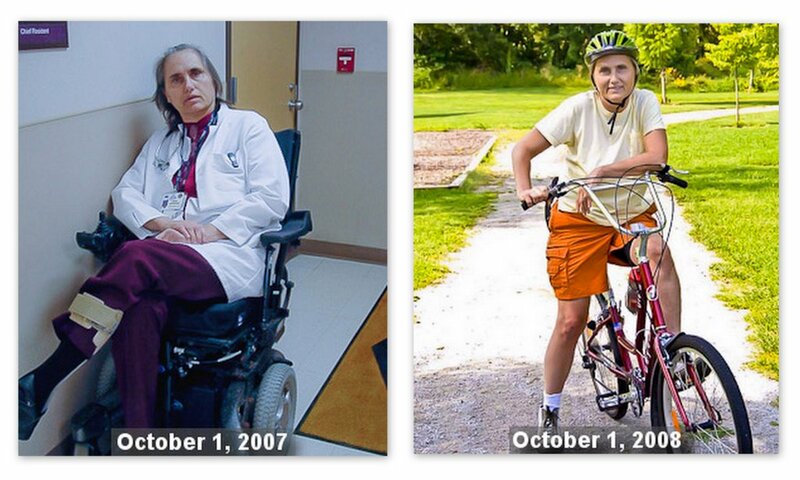 Within 3 years, she needed 2 canes to walk short distances, became dependent on a tilt-recline wheelchair, and began to fear that she would eventually become bedridden. 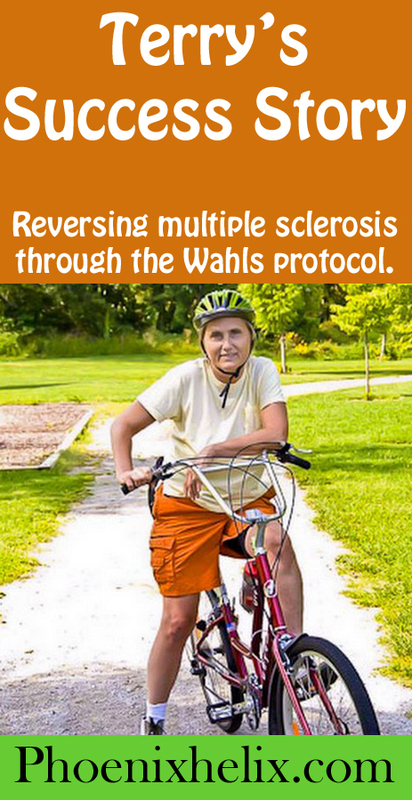 Her disease had transitioned to secondary progressive MS, the form in which people no longer experience remissions and instead experience gradual progressive worsening of disability. That's when she began her own research. She tried the Paleo Diet in 2002, and it slowed the progression of her disease, but didn't reverse it. She then learned of supplements that might benefit her condition, and they slowed the progression as well, but didn't halt it. At this point, she wasn't expecting reversal. Doctors have been taught that the abilities lost to MS can't be regained. Her hope was simply to stop her decline. For years, she scoured the scientific literature, looking for answers. She started focusing on the mitochondria, the powerhouses of our cells, which convert food into energy and help detoxify the body. She came to believe that they were a key component in chronic disease. She isolated a group of 31 micronutrients to feed both the mitochondria and our brain cells and discovered which foods provide those nutrients. 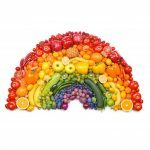 From that research, she developed a diet which includes 9 cups of vegetables daily (a combination of greens, sulfur-rich, and colorful) to meet those micronutrient needs. “That's when the magic started to happen,” Terry said. In 2007, she began a protocol which included this diet, along with a physical therapy program of exercise and neuromuscular electrical stimulation. It's been a couple of years since you did the TED Talk. Has your health continued to improve? It certainly has. My friends, physician and family all tell me that I am youthening: that I look younger and younger every year. This matches what I see in my clinic, as well. I'm sure I will begin to age again eventually, but as I reverse my condition, the premature aging that came with it reverses as well. I continue to bike, both two and from work, and also do trips with my family. I can bike 5 miles easily. If I want to go on longer rides with my family, I use a hybrid bike with a motor to augment pedaling, so I can easily maintain the same tempo as them. This gives me great joy, because that’s the kind of stuff I could do with my family when my kids were young. Now, I can do it again. I can also cross-country ski short distances, swim, and take short strolls. Are you 100% cured, or do you still have MS symptoms? I think it’s important to convey that this is a lifestyle change; it’s not instantaneous. It takes a long time for your body to repair damage that took 35 years to develop. It might take 10 years to heal that. In the morning, my gait looks perfectly normal, but by the afternoon a physical therapist could tell that my right leg is stronger than my left. I’m not sure that a layperson would be able to perceive that difference. I’m OK doing a mile stroll, but I get tired beyond that and at two miles, I have to sit down. I can lecture one hour fine, but get tired if I lecture two hours. My stamina is incrementally improving, but I’m certainly not yet at the equivalent stamina of another 57 year old in good health. These whole five years, I’ve worked with a physical therapist who I continue to see, and they keep advancing my exercise program, so I'm gaining both strength and endurance. As your MS improved, did other areas of your health improve as well? Yes, I had some asthma, so if I got any viral activity, I was likely to have an asthma flare which would require both steroids and a nebulizer. Since changing my diet, I have absolutely no need for asthma treatment. Is it hard for you to stay on the diet? Travel is the hardest for me, because it's difficult to have access to the food I need. I scope out restaurants in advance and bring a lot of my food with me. However, several months ago, I consumed food at restaurant that I didn't know had gluten and dairy in it. 48 hours later, I was incapacitated with face pain. That really is quite horrific. That makes it very easy to stay motivated and stay on the diet. I observe that about one-third of the folks with MS are more likely to have an acute reaction to problem foods. But the other two-thirds will slowly dwindle over the weeks that they reintroduce the bad food. For this second group, it’s much harder to stay as pure on the diet as I do. My consequence is so unpleasant for me and my family, that there is no one in my family saying, “Here, you can have just a little of this.” They’re all label readers now. Speaking of your family, were they supportive of your diet from day one, or did they take time to get on board? On day one, my family took all the stuff out of the house that wasn’t compliant for me, but they ate what they wanted when they were out of the house. After a while, I tested them for food allergies and showed them the results. My wife is gluten-free and dairy-free, but not grain-free. However, she's very active and healthy, and can tolerate the carbohydrates well. My children both feel better when they're on the diet. My son's allergies and asthma went away, and my daughter's migraines and struggles with moods went away. Now that they're both grown and out of the house, they're learning how to stay on the diet away from home. My son travels as a speaker, and my daughter is at college. They have both experienced a return of their symptoms when they've gone off the diet, so they know the power that food has. Are you on any prescriptions any more? No drugs that modify disease activity. Nothing that would impact my immune system in any way. However, pain is a symptom for MS. I used to be on very large doses of gabapentin and amitriptyline for pain and would still end up in the emergency room twice a year, with unbearable pain. Now I only take very small doses of gabapentin, and occasionally baclofen, if I've had a very active day. When I was an undergrad, I learned Transcendental Meditation and did that all through college. I stopped during med school. Then I was diagnosed with MS in 2000. In retrospect, it’s quite interesting that I didn’t resume meditation then, because I intellectually knew that stress is part of what contributes to disease worsening. Now I teach mantra-based meditation as part of the Wahls Protocol. I also do HeartMath, which is a form of biofeedback; it's really a form of meditation as well. My goal personally is to do both every day; occasionally I’ll miss a day. My clinical style is to teach the building blocks you need to do the chemistry of life successfully. In my medical practice, I give them the “whys”, we negotiate and they decide. If your family can't live with what you’re proposing, it’s much harder for you to be successful. That's why I offer a spectrum of options and depending on your health and your family’s commitment, you decide where you end up on the spectrum to start, and how rapidly you want to progress. I’d rather have everyone on the same page, and that’s the point you start from. In the research study, however, participants need to be 100% compliant on the full protocol. I give them two weeks to try it, before they commit to being part of the one-year clinical trial. The study is in its early stages, but we are seeing significant reductions in fatigue, as well as improvement in gait. Talk about phase 4 of your protocol: Getting evaluated for potential food allergies, toxic load issues and more personalized nutritional needs by a practitioner of functional medicine. If the diet doesn’t work, you need to personalize it for you. Everyone is unique. We’re an overlaying of swiss cheeses, and our holes need to line up perfectly for autoimmunity to get triggered. A functional medicine practitioner can help you identify your holes. For some people, lead poisoning might be a primary driver, or there may be a co-infection of Hep C, or a genetic vulnerability that affects your B vitamin pathways. There are infinite possibilities. 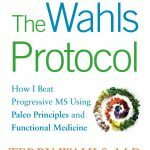 The vast majority of folks will experience some level of improvement on the Wahls Protocol, but there will be some that feel they haven’t been helped. Those people will likely need to tease out the complicated factors unique to their situation by seeing a doctor trained in functional medicine, to do an evaluation and devise a personalized protocol in order to heal. Is this a lifetime or temporary diet? Lifetime. If people fall off the diet, they get worse. It doesn’t matter the reason you’re doing the diet: MS, Parkinson's, Bipolar Disorder, Diabetes, High Blood Pressure. The diet can improve all of these conditions, but you need to stay on it, for it to be effective. It’s human nature that when you start to get better, you're tempted to slack off. I did it, too. I kept wanting to have treats like pecan pie with my son; it never worked out. After experiencing the consequences a number of times, I stopped being tempted. Each person can calculate how compliant they need to be for the amount of symptoms they're willing to live with. Different people make different choices. I think diets are very artificial. The closer we can get to thinking of it as lifestyle, and graze at will within allowed food groups, the more successful people will be. 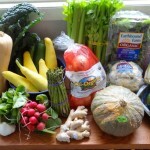 What I bring to the table, to the hunter-gatherer movement, is to take the principles of what foods were available prior to agriculture, add in the science of micronutrients that the brain and mitochondria need, and help people structure a way to get those nutrients from the food we have available day to day. The Standard American Diet revs up 65 genes that drive chronic disease through inflammation. The Wahls Diet turns on 72 genes that downregulate inflammation. Our DNA isn't the problem. It is our epigenetics – those influences, like diet, that turn our genes on or off. We have power over our diet and therefore our disease.